How Do You Respond To Market Risk? An assessment of an investor’s risk tolerance is a commonly employed aspect of portfolio management to help determine an appropriate investment allocation. In theory, risk tolerance guides the proper target risk/reward trade-off of the portfolio and if done correctly, protects an investor from derailing their long term strategy during precipitous drops in market prices. While short term market drops are unsettling, as we have experienced thus far this year, history indicates that markets have the potential to rise over time, and hasty decisions to address these short term declines tend to cause more harm than good. Therefore, calibrating an investment allocation with an investor’s unique risk tolerance is a tool to keep an investor from making a potential mistake by managing the downside risk and ostensibly, lessening the likelihood of panic that many times can result in negative consequences. If your assets are managed by an asset manager, you were probably asked a series of questions, whether in a written survey or via open-ended questions to establish your risk tolerance. In many cases, you may have been asked no more than five questions in order to establish your psychological profile of how you may deal and cope with financial risk. Most likely, particularly if you invest through a modeled portfolio (pre-determined investments based on your risk profile), you were assigned a profile title such as “moderate aggressive” or “conservative” as a means to match you with the mix of investment types you should own. Regardless of a risk assessment’s thoroughness, there are a few issues that may taint the results from inception. Recency Effect – One such issue is the investor’s outlook at the start of the portfolio. In our current state, with equities falling, do you feel the same about risk as you did when the market was on a five year bull run and more likely to reap financial reward with ownership into equities? When the mood is bright it is far easier to be aggressive in equity than when your investment values and subsequently net worth is diminishing. Defining Risk – How do you even define risk? Some define it as chance of loss like a bet. The financial community often equates risk with volatility which reflects an investment’s historical range over a given period. So if for example you are labeled as “moderately conservative”, what does this mean? Is it a prediction of what you may do if the market drops precipitously or does it reflect a preference for greater consistency in exchange for less risk/return? Perception of Risk Changes – Risk Tolerance is a perception in constant flux adjusting from any life changes such as aging, working vs. not working, retirement, (whether pre- or within), single vs. married, childless vs. dependents, etc. Considering that risk tolerance can be very complicated to measure, will a superficial risk title associated with one of a handful of model portfolios that are offered do justice to someone’s needs? Probably not. Make no mistake, dedicating a lot of time and consideration into understanding your risk tolerance can make a big financial difference. Study after study has shown that investors underperform based on the risk/return they take. In one such study conducted over 20 years by Dalbar, a financial marketing service firm, it was found that while the broad based equity market in the S & P 500 Index grew an average of 7.8% annually, the average equity investor earned 3.49% over the same period. One main difference it found was when investors employed either fear or opportunism in their decision making and either bought or sold at the wrong times. Whereas it is not clear whether better returns can occur in higher fee/active mutual funds vs. lower fee/passive index funds like the S & P 500, it is far more certain that a practical understanding of risk tolerance can improve your long term return. Clearly, this is a reason all by itself to use an asset manager as a barrier from making rash decisions based on emotional reactions. But, for an asset manager partnership to work (given that you can always direct your asset manager to buy or sell), the relationship works best when the manager has a deep, ever-evolving comprehension into your existing financial circumstances and financial goals, as well as, an ongoing monitoring of your investment history when confronted with market volatility to better prepare you for future turbulent market swings. 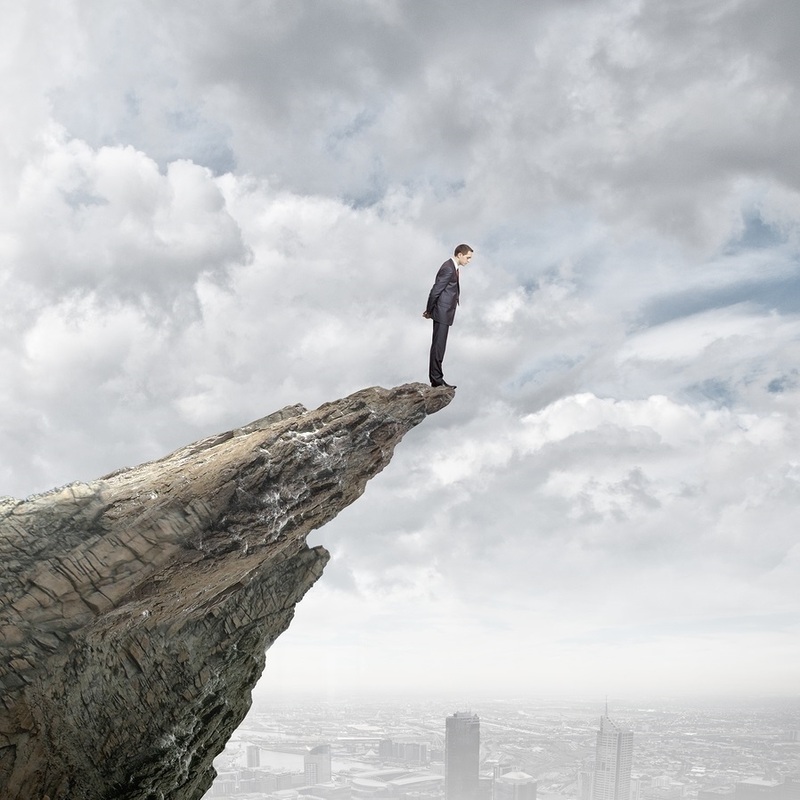 Establishing a risk profile is the cornerstone of any portfolio management relationship. Whether treated as a profound discussion or a mere act of formality, the amount of respect necessary to this function of investing will be revealed at time when risk, or lack thereof, is valued most. And if you are still reacting to further volatility then perhaps a deeper insight into your risk profile is in order so that you can reset your risk/reward balance.